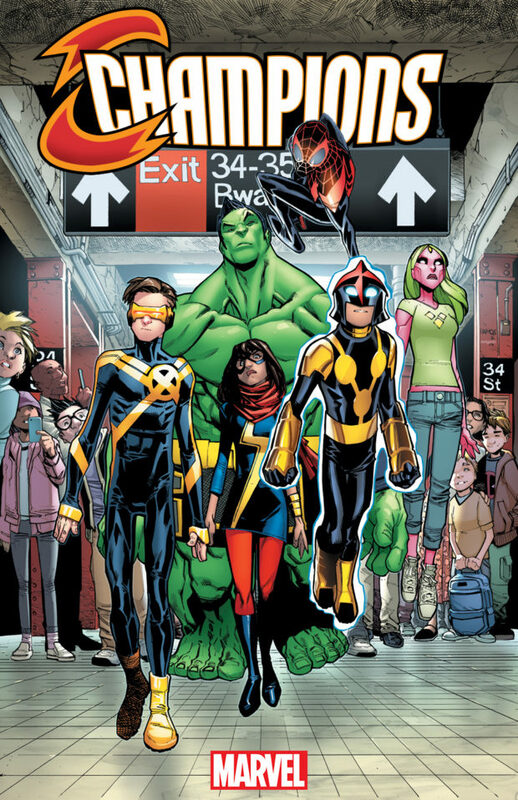 On last week’s podcast, I mentioned that Marvel had released an image of young superheroes with a sign saying “I quit.” I speculated then that they would form a new super-team with an old name that needed a trademark renewal. Was it time for Young Avengers again? Well, my reasoning was right but the title was wrong. It’s actually a team name with a bit of an awkward history. So either something worked out, or there’s a fine point of law where if you remove the article, it’s enough. Because this team isn’t called THE Champions; they’re just Champions. And actually, yes, they are. 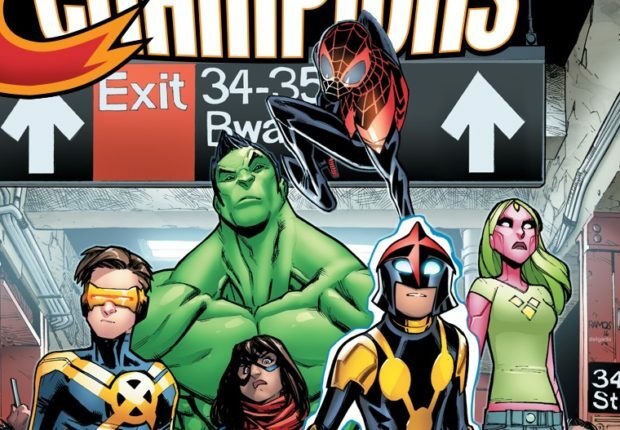 Putting Ms. Marvel, Spider-Man, and the Totally Awesome Hulk front and center, you’ve got three of Marvel’s best (relatively) new characters. Throw in Nova, the younger Cyclops from All-New X-Men, and Viv Vision, it’s an eclectic and fun team. Art by Humberto Ramos with scripting by Mark Waid? There’s just no way this book isn’t coming out of the gate any way but good. The Marvel Universe is fractured. Heroes, who once stood together, now position themselves in opposition to one another. Idols of the Marvel Universe who once endured in the light are now shrouded within shades of gray, and the heroes of tomorrow are fed up! It’s time for a change. It’s time for a brighter tomorrow. Enter…the CHAMPIONS! They’re coming to you in Marvel’s CHAMPIONS #1 – a brand-new ongoing series launching this October as the flagship title of Marvel NOW!